It’s Part of Firefox Mission. 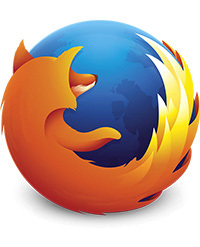 Mozilla is a non-profit organization with the goal of making the Web better for everyone. We’re not trying to make money off our users – we just want you to have the best possible experience online, and that includes keeping you and your personal information safe and private. Making the Web Faster. Fasten your seat belts! With faster start-up times, rapid graphics rendering and improved page load speed, Firefox is full of major performance enhancements you’ll notice instantly. Upgrades to DOM and Style Resolution performance mean pages load faster, scrolling up and down is smoother, and web applications can run at breakneck speed. It’s an entirely new – and fast – browsing experience. Hardware Acceleration. Whether you’re using Windows 8.1, 8, 7, Vista, XP or Mac OS X with Firefox, you’ll also enjoy hardware acceleration for many common operations, such as watching videos or playing games. Firefox uses a new layers-based graphics system that takes advantage of Direct2D and Direct3D on Windows and OpenGL on Mac to deliver amazing performance even on graphics-heavy sites.